A1 Pest Control specializes in environmentally and family safe pest management – ensuring a safe environment for you and your family! 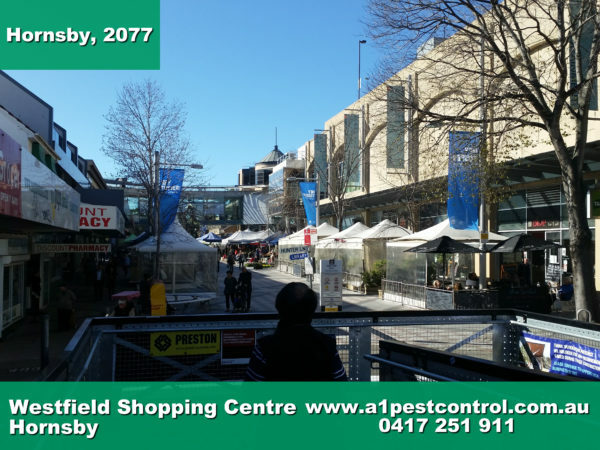 We’ve worked alongside the Hornsby Shire Council in completing both commercial and residential pest control across the district – including treatments for the Hornsby Westfield shopping centre and some of it’s many shops. Are you looking for Pest Control in the Hornsby Shire area? any pesticides that will be harmful to your guests. Picture of the New South Wales, “New State For Business Motif”. 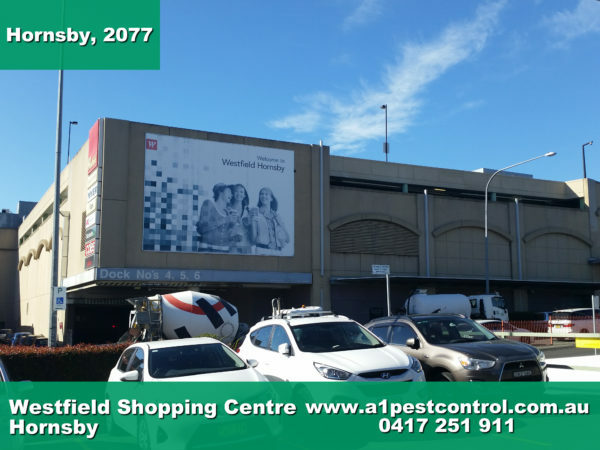 Westfield Hornsby, A1 Pest Control proudly services the Hornsby Region and offers effective Commercial and Residential Pest Control options. to suit your budget in the most cost effective and efficient way if necessary. Give us a call if you’re struggling with any pest control issues and we’ll be more than happy to book you in for an appointment or give you an obligation free quote, we’re confident that your team will be able to tackle any pests you’ve got! A hub of activity in the area; Westfield offers an array of shops and has become a bustling centre for many people as a daily shopping destination. Opening hours: 9am – 5:30pm daily. Looking for Pest Control? Hornsby is one of the suburbs that has always been part of our service area for over 35 years. We have been successfully treating Bed Bugs, Bee Removal, Termites, Spiders, Cockroaches and Ants, all with low toxic treatments. Your home or business could be protected by a trusted local firm. We are family owned & have survived in business by giving all of our customers what they are looking for, a reliable, trustworthy service at a reasonable price. Westfield Viewed From External Parking Area. 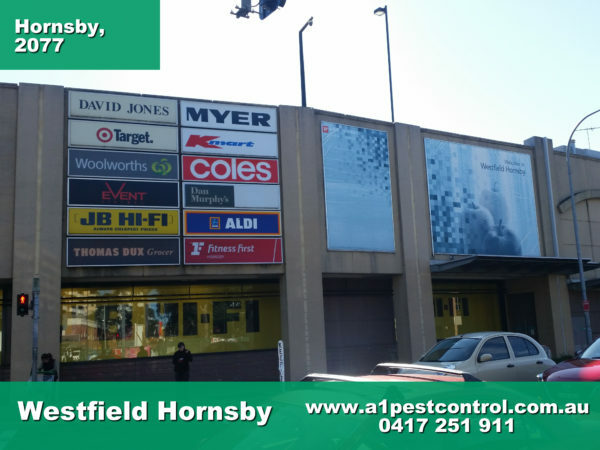 A1 Pest Control offers various rodent baiting solutions for large shopping complexes.